Like no other horror/sci-fi sub-genre, zombie fiction allows us to combine the instantaneous gratification of fighting terrifying hordes of undead creatures while at the same time exploring more profound themes regarding human behavior and the societal ills of our time. The magazine is dedicated to all things undead: survival tips, theories on the nature of a zombie outbreak, combat tactics, new short story and serial fiction, interviews with like-minded zombie fans/celebrities, updates on events and entertainment – Zombie Training aims to cover it all. 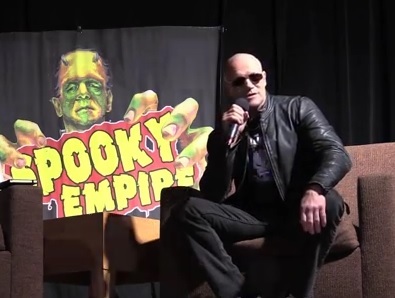 Q&A with Michael Rooker at the Wizard World Portland 2015 kickoff party. Marvel Studios previewed Guardians of the Galaxy Vol. 2 for members of the press on Monday night. While they are all under strict orders to keep their lips zipped, social media is still buzzing with reactions. 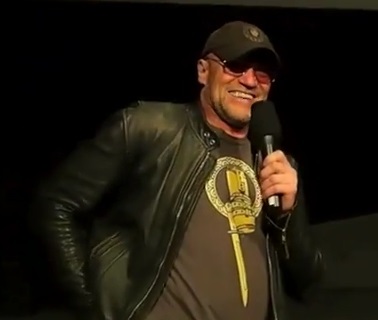 Michael Rooker on Delamorte’s Dungeon!